SurveyMonkey provides an easy way to create online healthcare surveys and even offers a template to get you started quickly. Here is an example healthcare survey provided by SurveyMonkey. The following example will use the healthcare survey template provided by SurveyMonkey. Next, we need to get the healthcare survey on your kiosk, so we can make it accessible to the public. 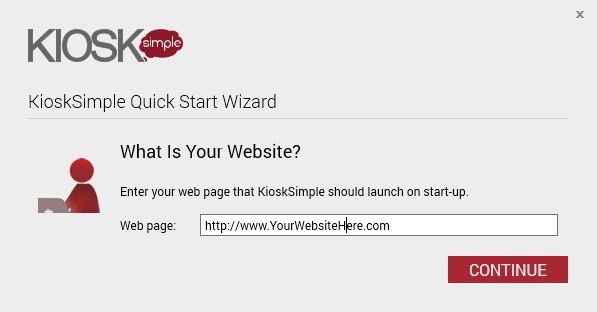 In this section we’re going to cover configuring KioskSimple to load your SurveyMonkey healthcare survey. 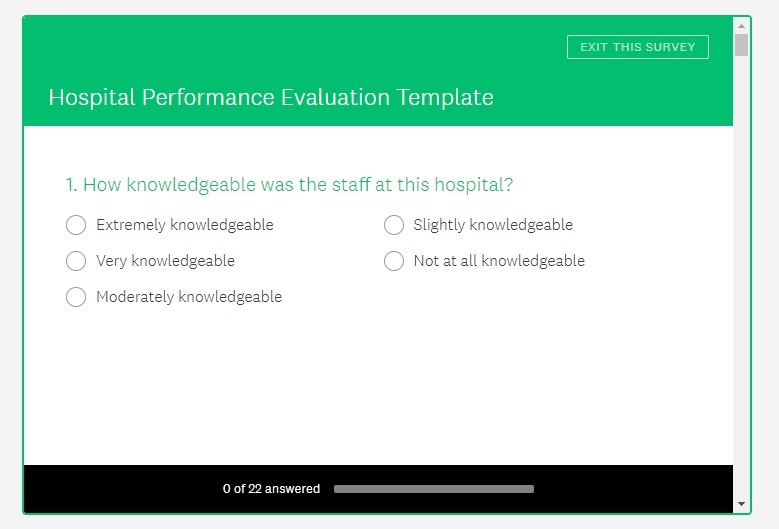 Simply enter the URL of your online SurveyMonkey healthcare survey (for example “https://www.surveymonkey.com/r/Hospital-Performance-Evaluation-Template“) and click continue. 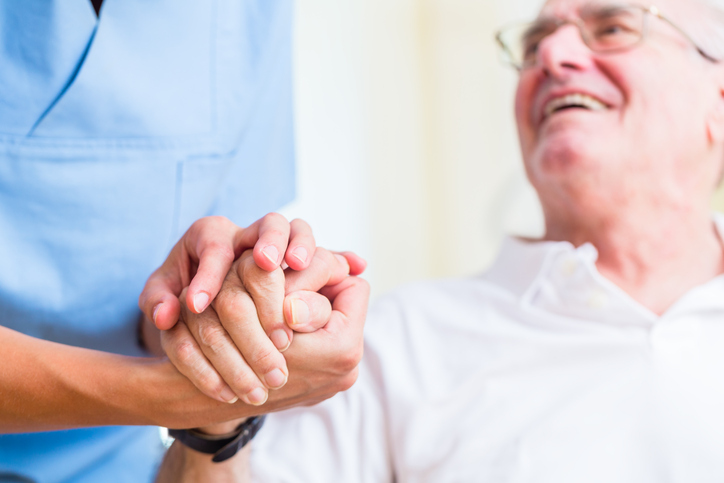 Your healthcare survey will load within in a few seconds. After you’re done testing press ESC and you’ll be prompted to enter a password. 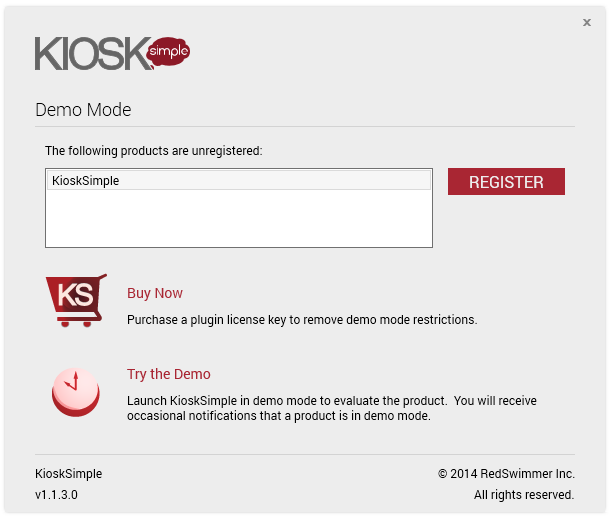 While KioskSimple is unregistered, any password will work. 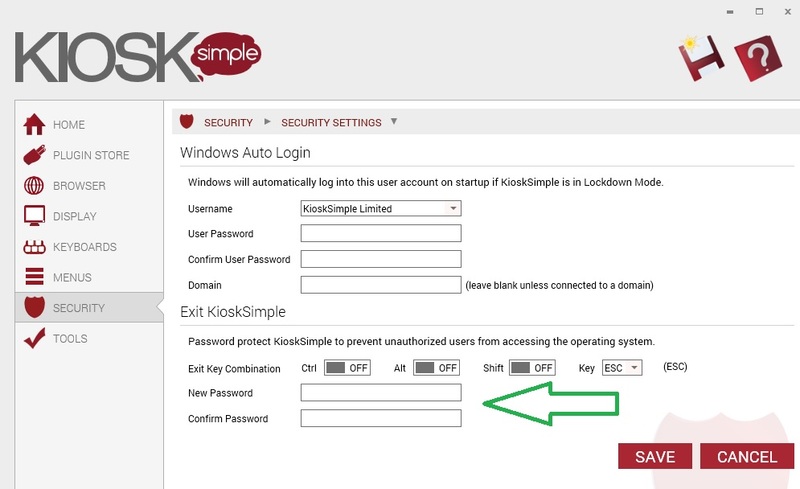 When you’re ready to deploy your healthcare survey kiosk for use by the public, you’ll want to select the option to Lockdown Kiosk and configure some basic security options which we’ll cover in the next section. 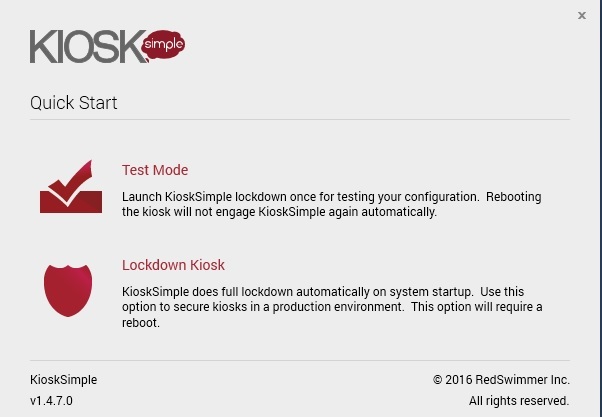 In this final section, we’ll cover securely deploying your healthcare survey kiosk for use by the public.